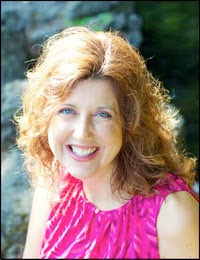 Melanie is the award-winning author of seventeen historical romance, time-slip, suspense, and contemporary novels including Catching the Wind, Beneath a Golden Veil, and The Silent Order. Three of her novels including Chateau of Secrets have won Carol Awards, and Love Finds You in Liberty, Indiana won Best Novel of Indiana. More than twenty years ago, I stepped into an abandoned house in Virginia. The house hadn’t been occupied in decades, but its former residents had left clothes in the closet, dishes on the table, the rusty hood of a Chevy buried in what had once been a yard. As I explored the attic of this clapboard house, I wished the crumbling walls would tell me its story. The house kept its secrets, but the experience changed my life. Deserted places, I discovered, fired up my heart and fueled my imagination. I wanted to know who had lived in each place and what their lives were like.When I couldn’t find the answers to my questions, I began creating my own stories on paper. In the two decades since I stepped into that old Virginia house, I’ve written multiple novels inspired by a number of abandoned places—a manor home, lighthouse, English cottage, amusement park, and French chateau. For Hidden Among the Stars, my latest time-slip novel, I decided to write a story about a medieval castle set on the shores of Lake Hallstatt in Austria. My husband and I discovered this castle years ago when we were backpacking across Europe. From the beautiful, alpine village of Hallstatt, I could see spires of an abandoned castle across the lake, hidden partially by trees. The sight sparked my imagination, but when we rented an electric boat and cruised along the shoreline of this castle, saw the rusty turrets and boarded windows, my heart began to race and my mind blazed with possibilities. Legends abound in Austria’s lake country about treasure lost or hidden by Nazis near the end of the war. I wondered if anyone had lived in this old castle during the war and if the Nazis hid any of their stolen treasure on the estate? Like I’ve done with so many of my novels, I began answering my questions with a fictional story. I realize that not everyone has the same rush of adrenaline over discovering abandoned places. In fact, my family thinks this is a bit crazy. But over the years, I’ve learned to embrace the fact that my heart pounds when I explore another vacant place and it continues pounding as I begin writing a novel inspired by its story. 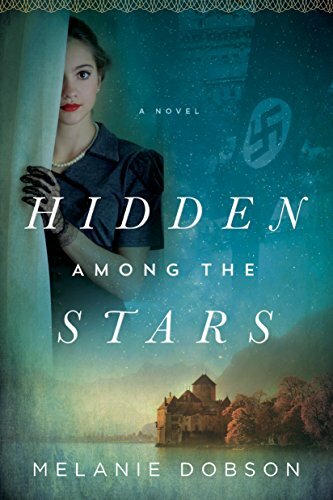 One very Lucky reader of With Love for Books will receive a paperback copy of Hidden Among the Stars by Melanie Dobson. I love abandoned places too! They really stir my imagination. Great guest post. I love discovering abandoned places too. 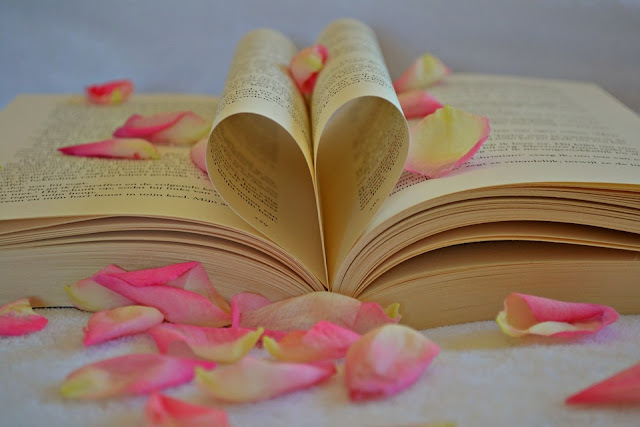 I love the idea of novels of historical fiction with threads of romance and suspense. Keep up the great work. Abandoned places do cause one to wonder. I love to make up stories about what may have happened there. What an interesting guest post. I loved reading about the abandoned houses. I can't wait to read the book. Beautiful cover and sounds like a really intriguing read. Abandoned houses are always sad and I can see how they would inspire. Hello Melanie, I'm excited to read Hidden Among the Stars! Looks like a really good book I would love to read it. Terrific guest post, many thanks for sharing! Love the cover and would very much love to read it. I'm oddly intrigued by empty and abandoned buildings too. It's interesting to wonder what happened there. I would love to read your books - the castle in Austria sounds intriguing! I like abandoned places, too (as long as I'm not discovering them on my own). Abandoned places intrigue me, and I always feel sorry for them in a way. Do wonder what stories they could tell you if the could talk and what secrets they might reveal. They make me want to make them special all over again (not that I have the money). Love a good read and cuppa. How exciting to find inspiration in forgotten places. Looks like my type of read. Abandoned house makes my heart beat faster too, and Hallstatt is indeed beautiful. Thank you for the guest post and giveaway. I'd love to read your book. You are most definitely not alone, Melanie. There's something so sad about places that used to ring with laughter and are now devoid of human life. Thank you for this charming post.